Music is an important element to any game. As a game music composer (see more about me! ), I really believe that it helps to enhance the overall experience, to bring it all together and to set the general tone of the game. Great music can help to make your game more memorable, more fun to play and can even to make it stand out. However, it is not always easy or obvious where to find the right music for a game or which approach to take. If you’re wondering what your options are and which way to turn, perhaps this article will help. There are also many other useful tips, articles and resources on my blog so do take a minute to browse through those as well. These are also sometimes referred to as royalty-free music libraries, production music libraries or simply stock music. For those on a really tight budget, stock music can be a good option as it offers a variety of music available to use on a royalty-free basis, at a very low price. Some music is completely free, sometimes it requires attribution, other times you’ll have to pay but usually a low fee between $5-75 per track. Here are some of my tracks available to license on a royalty free basis. There are also music packs available from certain sites, which are often even cheaper. They offer many tracks that you can download in one go and which can essentially make up your entire soundtrack. However, there are downsides to bulk packs and stock music generally in that they won’t be customised to your game and so are unlikely to fit perfectly and creating consistency across a full soundtrack can be tough to do. It can also be quite a time consuming process to go through lots of tracks to narrow down and find something suitable for your specific needs. See the article: Pros & Cons of Using Royalty Free Music in Games to explore this a bit more. Do you have a friend who could help with the music? Is there a student or wannabe composer who might jump at the chance to get involved with your game? If so, this could be an avenue for you to explore further. Friends are often happy to lend a hand, especially if it’s your first game and there are many student musicians and hobbyist composers out there who may get excited when they learn about what you’re developing. The downside with this option is usually to do with time, quality and reliability/accountability. If you’re relying on someone to help you out for free, it’s difficult to hold them accountable to you and to make sure that they deliver what you need, when you need it. This can be absolutely fine if you too are a hobbyist and/or are just trying things out for fun, however, if you’re serious about getting your game to market then you may want more ‘serious’ folk in your team. For composers/musicians starting out, their experience may be lacking and so you may find that the quality of music and the ease with which you can communicate and work with them is challenging. You’ll need to be patient and to be willing to spend time guiding them. You may need to spend time going back and forth quite a bit until each track starts to sound like something you’d like to use. This is probably the most ‘professional’ route you could take and so if you want high quality music, which is customised and created specifically for your game, this is the best option for you. It does, however, come at a price, and so you will need to be willing to invest in the music to your game. (See 5 Reasons to Invest in the Music to Your Game). There are many different types of composers out there, with some specialising in certain styles/types of music and some specialising in certain fields – so not all composers will have experience creating game music for example (they may be a classical composer or a film composer), and so it’s important to learn as much as you can about them and their music and composing experience, before deciding who you want to work with. This is why I make it easy for people to listen to examples of my game music and to see my credit list and testimonials so that you can hopefully get a sense of what I’m about: - what I’m like to work with, my experience and music. This is the type of things to check out when trying to decide who you might want to hire and work with. If you are a musician and feel that you have all the skills needed to create great music for your game, then I’d definitely consider this as an option. The great thing about doing it yourself is that you will have full creative control. You can decide what you want, when you want it and when it’s good enough for your game. The downside though is that if you take the time to create the music for your game, that’s time taken away from possibly doing something else. So, you will need to have that time to dedicate to the things that you feel are important or you will need to prioritise and think carefully about how you want to spend your most precious commodity. Making music can be an incredibly fun process if that’s your kind of thing, however, it is very time consuming. So think carefully about what’s right for you. See Pros & Cons of Creating Your Own Game Music for more on this. Those are the 4 main ways to get music for your game. I hope this has been useful for you and helps with your decision-making and next steps. It is also very possible to combine some of the above options and so don’t worry if you’ve made a start down one road but feel you might want to explore another. It’s still all very possible to do. If you want to talk through this some more, contact me to explore how I might be able to help you with your game or project. Good luck! About the author: Ninichi is a game music composer and music enthusiast. She has composed the soundtracks and music to several indie games, films, tv shows, podcasts and more. Contact her: to explore working with her on your game, film or media project. Check out examples of Ninichi's game music & read more articles like this on Ninichi's blog. If you’ve been thinking about using royalty free music for your game, you may be interested in these. I’m Ninichi, a freelance game music composer and I create music for games, film and other media. I am usually commissioned to work on game music soundtracks and custom music for game trailers, film and other shows and media. I also offer some royalty free music available to license through my website, since I’m well aware that not all projects have the budgets available to invest in custom music. My video game music packs are one of these licensing options and the idea behind these is to enable indie game developers on very tight budgets, to still be able to have great quality music in their games. The first 3 packs are available now – to purchase, license and use on a royalty free basis. My plan is to release new music packs as they become available – hopefully a new pack every month or so, therefore I encourage you to keep visiting my site for updates when you can. CHIPTUNE PACK– is a collection of 5 great 8-bit style game music tracks designed specifically for use in video games. The tracks loop seamlessly and there are also 3 bonus mini-tracks included that can be used as opening themes or shorter game levels. RETRO RUSH – is a collection of 5 amazing retro or arcade-style game music tracks perfect for puzzle, brick and paddle, or racing games. A bonus intro sting with 3 different variations is included and can be used for menus, ending credits or any other shorter/transition levels. PUZZLE PACK – is a set of 5 awesome video game music tracks designed for puzzle games. All tracks are fun to listen and have their own distinct melodies, yet have been crafted to sit perfectly in the background to any puzzle game. I hope that you find these music packs useful and do keep a look out for more. If you have any suggestions around these or ideas for future video game music packs, do drop me a line. It’ll be great to hear from you! And, of course, if you’d like to explore working with me on some music for your project, don’t hesitate to get in touch now! Ninichi is a freelance game music composer & big supporter of indie games. If you need help with the music for your game or project, contact me now to explore how we might work together. 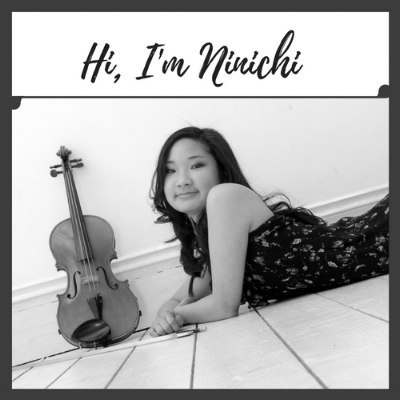 Learn more About me (Ninichi) and check out examples of my game music here. This is the third article in the 'Introducing the game music' series. Each one tries to offer a little bit of insight into what lies behind the music for a specific game I've worked on. As a game music composer, I really enjoy the process of connecting with and working with such a wide range of talented game developers. I've found that each one has their own vision for their game and it is my job to help ensure that this vision is brought to life through the music and the game's soundtrack. What is Tank Tank Rush? Tank Tank Rush is unique blend between an artillery and side-scroller game, created by the amazing talented Antonin Duboc (@PutschMobi) - owner of Smart Game Studio. In the game, you control a soviet army tank and fire your tank gun at the enemy. The game is set during the Great Patriotic War on the Eastern Front and this is where all the action happens! The game is still in development, but it's definitely one to watch for those who like shooting things and like a bit of tank fun! What’s interesting about the music for this game? The setting for this game makes it quite unique and required quite a specific style of music i.e. a USSR style military march. 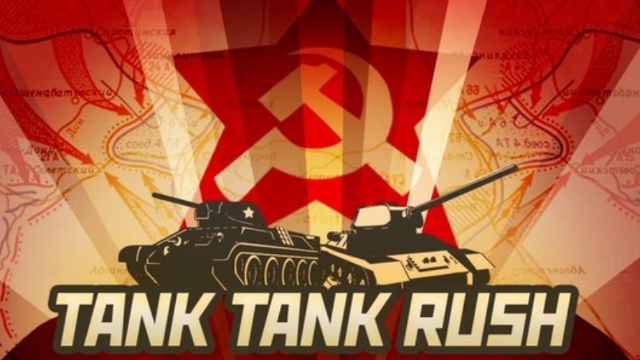 I worked with Antonin – the solo developer to the game, and composed the theme tune to Tank Tank Rush. The track gets played in the game during the start menu and so it sets the scene for the game and is the first thing that one hears when looking at the game. I was asked to create something that has a mix of feeling solemn and being something that one might listen to before going to war i.e. something that gives you courage for battle. I wanted the game music to sound quite distinct and to work well with the look and feel of the game. Antonin was also very clear that he didn’t want any other music within the game itself and so I felt that it was important to make this main theme tune track something special. How did I go about creating the music for this game? I listened to other music from this era and in this style to ‘get into the zone’. For me this is always an important step in creating any new piece of music as it gives me a good sense of the style when something specific is needed and is also a great source of inspiration and ideas. I have experience in playing military style music and have heard quite a bit of it in my time. I’m a classically trained musician and used to play in various orchestras and so have a solid grasp of what an orchestra can do. I’ve also actually studied a few of the Russian composers in the past and so felt quite comfortable with this style. I’m very lucky to have had a lot of experience across a wide range of musical genres, which I think helps me a lot when it comes to being able to compose for different projects. I love listening to different kinds of music and the variety that comes my way when being asked to work on and create new music. Any other thoughts or tips when creating game music? I've created the music for several indie games now (have a little listen) and absolutely love it! One of the amazing things is how different each game can be and therefore, the wide range of music styles I've had the opportunity to create music in. When creating music for a game, it's always important to fully understand the setting for where the music fits with everything, so that when composing, you can create something that will enhance the gameplay and immerse people into that world and specific section of the game. All music in a game is important I feel, however, the main theme tune should certainly be given extra attention since it's the tune that should stick in people's mind for a while and that they are most likely to associate with your game. I hope some of this has been interesting! Good luck with your game development and if you'd like some custom music for your game, get in touch! When it comes to the music and/or soundtrack to your game, it’s really important to get some basics right. For some people it’s easy to identify and decide on what sort of style and mood you want for different parts of your game. For others, it can be really tough, since there will be various different options and directions that you could go in, and it can be hard to tell what would fit best and be most well received by players of your game. That means that it should NOT be overwhelming or too distracting. It is there to enhance, engage and support, not be the centre of everything. Great game music adds to the experience and heightens the emotions that you feel as you move through the game. If working with a composer, it’s important that they understand this and aren’t the type to create music that takes away the focus from your game. 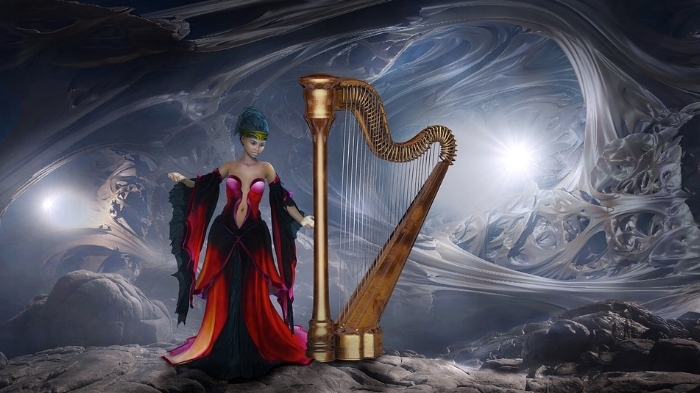 A good composer will know how to create music that has that precise balance that’s needed to capture one’s attention enough to be interesting and fun to listen to but which is still something that sits neatly in the background to the main gameplay. Most game soundtracks will consist of looping tracks, which are between 30 seconds to 2 minutes long, on average. That means that although the tracks shouldn’t be overwhelming, they also shouldn’t be too repetitive either. They may be played over and over again depending on how long someone plays the game for, and so ideally you’ll want your music to be fun and engaging to listen to several times. This means that you probably want your composer to have a real talent for melody and for developing tunes in a way that they can be repeated several times without becoming boring or annoying. Tunes that are too simple, can be often too easy to remember and hence when they’re repeating often, it becomes irritating. However, tunes that are too complex aren’t memorable or catchy at all and thus aren’t usually great to listen to. Whether you’ve decided to work with one composer, multiple composers or to source your music from elsewhere, it’s important to think about the consistency of the music across your soundtrack and within your game. Across your game you will mostly likely want and need a variety of different types of music to bring out different aspects of your game. Whilst the variety in the moods and potentially styles and important and useful to help bring your game, game areas/locations and characters or situations to life, it’s also important to have a sense of consistency and coherence across all of the game music. It needs to sound as though it’s all part of the same game and fits well within the game world. This is often tricky to do if using music from a wide variety of sources because the styles, instrumentation, sounds etc. can all be quite different. To someone playing your game, if the music doesn’t have that sense of coherence, the game may feel quite disjointed. I hope you’ve found this article useful! If you find yourself getting a bit confused when it comes to the music for your game and/or would like some help with it, do feel free to contact me. I’d be delighted to work with you on your game music and look forward to hearing about your wonderful project! If you’re thinking about hiring a composer for your project – whether it’s a game, a commercial, a film or anything else, it’s important to find the right person to work with. There are many composers around, however, unfortunately we are not all the same! As with other industries, there are good ones and bad ones and it’s important to know what to look out for when doing your due diligence and deciding who’s best for your project.